When this card enters play, draw 2 cards. When there aren't any phantom unicorns invading or giant ice clouds falling from the sky, life in the Crystal Empire can be a bit humdrum. 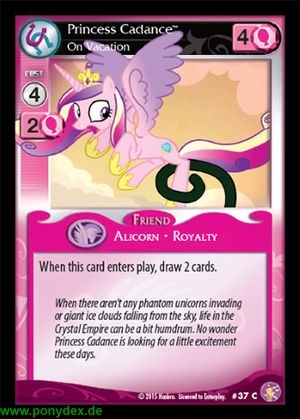 No wonder Princess Cadance is looking for a little excitement these days.